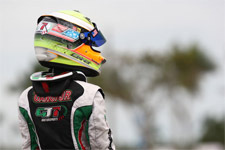 Anthony Gangi Jr., a member of the GT7 Motorsports kart racing team, has been in full testing mode since the checkered flag dropped a few weeks ago in West Palm Beach, Florida. 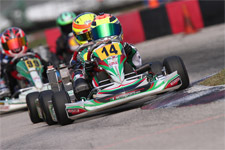 The ten-year-old racer from New York City is preparing for another assault on the Vortex Mini Rok class at the upcoming Florida Winter Tour (FWT) round taking place this weekend at the Homestead Karting Complex. The permanent parking lot track offers racers a much different racing venue than the other two stops on the FWT calendar. As the southern most region of Florida, racers are hoping the Miami area offers up some warm weather to match the intense on track action. The GT7 team has been working flat out on the new Tony Kart Cadet package that they debuted in the opening round of the Tour. Anthony Jr. and long time tuner Chris Perez will again be joined by Gary Willis as the trio look to hit the podium for the first time in the FWT Mini Rok class. "The whole team is very excited about this weekend at Homestead. Anthony Jr. was really fast in both trips to the Super Nats in the Mini Rok kart," comments Anthony Gangi Sr. "Obviously there are some small similarities between the Rio and the track at Homestead so we are looking for a good weekend. 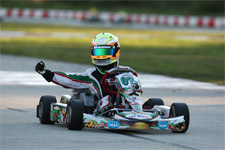 We have been working hard on the new Tony Kart Cadet package both in the engine shop and on the track." The team took the opportunity between FWT events to test at the Homestead track in preparation for the second of three double-header weekends on the 2012 FWT calendar. 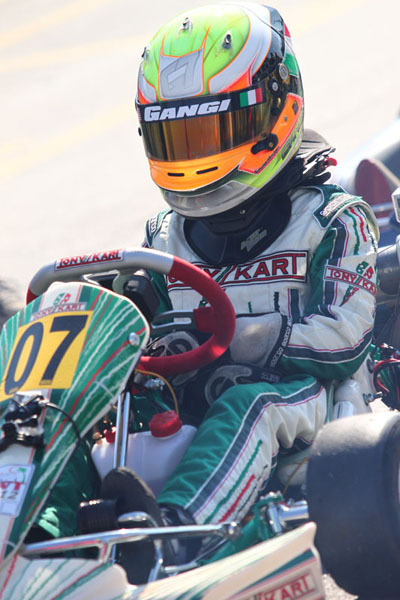 The opening weekend had some challenges for Gangi Jr., who took 21st in the Saturday final after contact while in second place send him back to 27th. 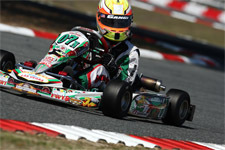 On Sunday a win in the prefinal came with a five-position penalty. Gangi Jr. was able to get himself to the front and battle for the lead ending up fifth at the line. This weekend Gangi Jr. will head into Homestead sitting eighth in the points standings. "I really know we can do well at Homestead. I like the track and the testing we did was really, really good," comments Gangi Jr. "We had some bad luck in the opening weekend so I am hoping I can make up some ground this weekend. The Tony Kart Cadet is great and my tuner Chris (Perez) is amazing. I have really enjoyed working with Gary (Willis) and I think my driving is getting better." 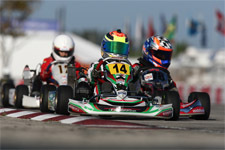 Anthony Jr. will return to Florida Winter Tour action this weekend at the Homestead Karting Complex. 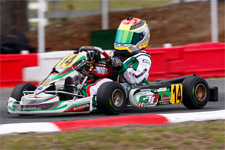 Fellow GT7 Motorsports team driver Dylan Tavella will join Anthony Jr. as they both take on the Vortex TaG Cadet Class. That will be followed a week later as Gangi Jr. returns to Mini Max and Tavella continues his run in Micro Max.